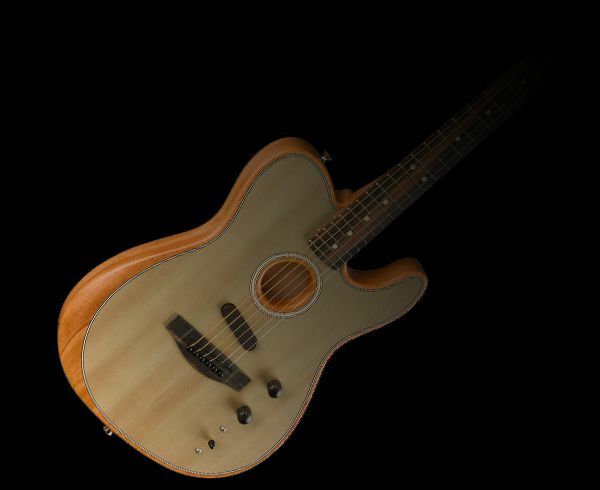 At the heart of the Acoustasonic Telecaster is the Fender and Fishman® designed all new Acoustic Engine. This engine is a proprietary blend of classic analog and the digital future resulting in a clean, natural sound that is optimized to fill rooms. An under-saddle piezo pickup, the visible Acoustasonic Noiseless™ magnetic pickup, and the internal body sensor all work together to feed the Acoustic Engine. One piece means one piece. The acoustic chamber is routed out of a single piece of solid mahogany to ensure a deep rich sound. The solid sitka spruce top gives it life. 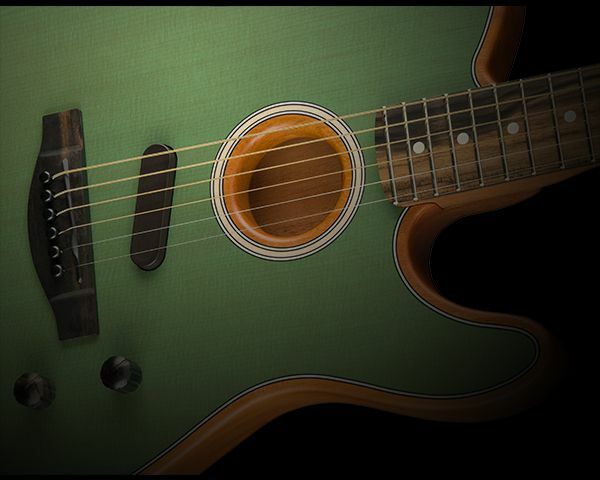 The body sensor reads the vibrations of these two pieces working in tandem to give real acoustic depth to the engineered voices of the guitar. 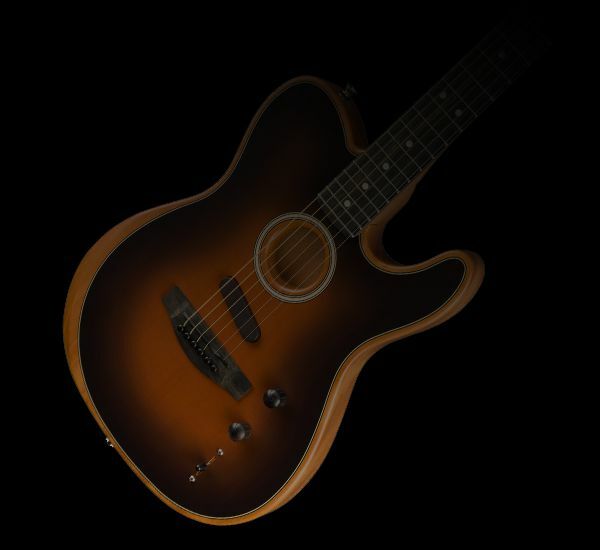 Handcrafted in Corona, California, at the same factory that makes Fender’s iconic electric instruments, the Acoustasonic Telecaster represents the next era in Fender craftsmanship and innovation. Not a fan of the Deep “C” style neck? Want a maple fretboard? 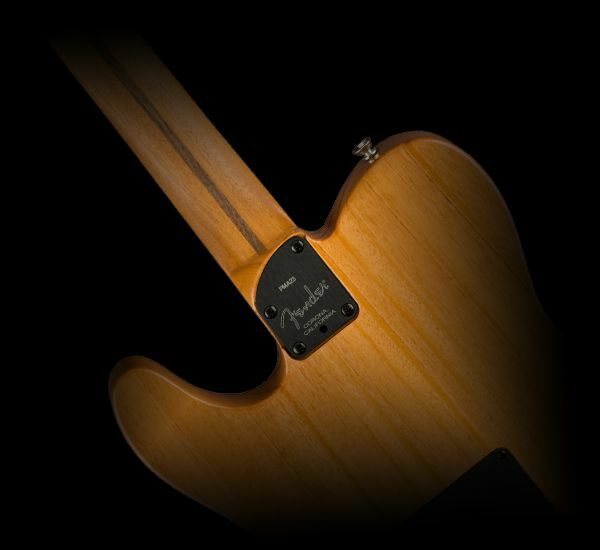 The American Acoustasonic Telecaster uses a standard Fender bolt on neck, so you’re never limited to only one option. All the words in the world can’t describe the versatility of this guitar, you’ve just got to hear them for yourself.